Couches can be upholstered by a durable and stain-resistant material known as microfiber. Microfiber can withstand some wear, but a slip with a knife, scissors or other sharp object can rip the material. 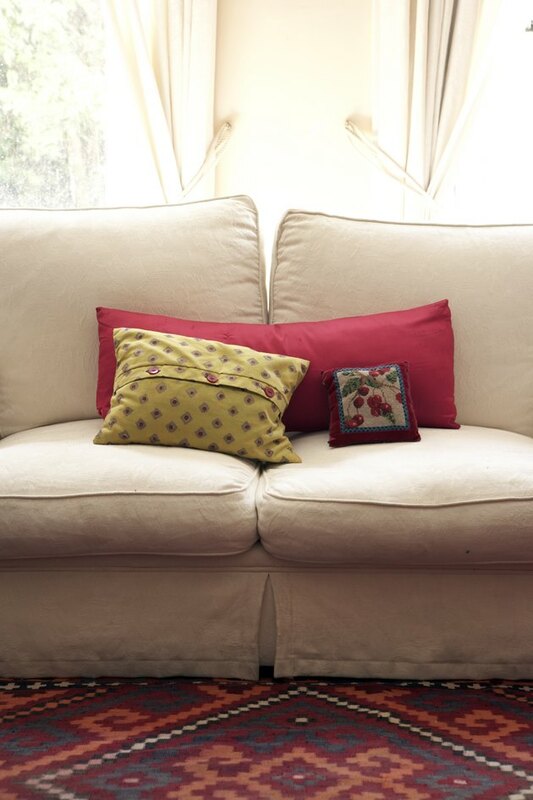 You can repair a torn microfiber couch yourself and avoid the cost of replacing it or reupholstering it. All you need are a few simple tools like a scissors and needle. You can repair a torn microfiber couch with fray check and sewing supplies. Apply a small amount of the fray check around the tear. The fray check will help keep the tear from spreading. Examine the tear to determine the best needle to use for your repair. Use a standard needle if the tear is along a flat area of the couch. If the tear runs along a curved area, use a curved needle. Use a strong, thicker thread designed for use with upholstery. Form a knot at one end of your thread. This will keep the thread from falling through the needle. Push the needle through the fabric about ½ inch from one side of the end of the tear. Then, push the needle through the underside of the fabric on the opposite side of the tear and pull the thread until the two sides of the tear are close together. Repeat this procedure, starting at one end of the tear and working your way to the other end, until the tear has completely closed. Knot up your thread at one end. Use a scissors to cut off the thread's loose ends.